Blick Academic Bristle is not mass-produced, but crafted with care. 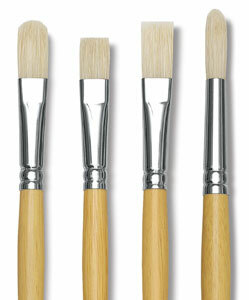 Traditional grade natural bristle is bleached for a whiter appearance. Interlocked hairs have flagged tips and are never trimmed to shape. Academic Bristle is the right choice for value and standard performance. 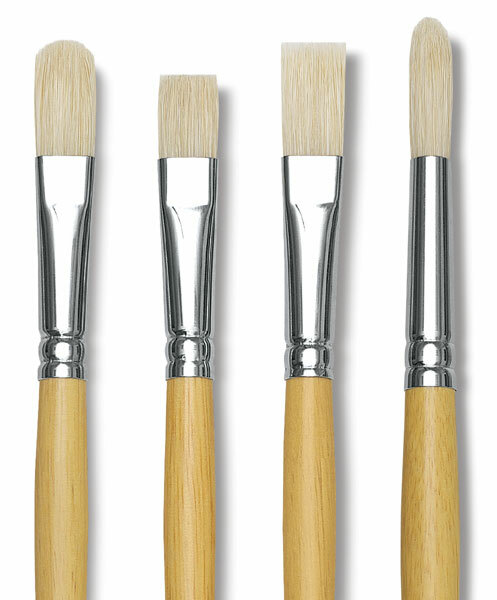 We've built in more flexibility than with our Studio and Master series, which make this a great brush for learning. A giant step above scholastic grade product that floods the market. Bright, Set of 6 — Save with this set, which includes a wide range of different sizes: 2, 4, 6, 8, 12, and 16. Flat, Set of 6 — Save with this set, which includes a wide range of different sizes: 2, 4, 6, 8, 12, and 16. Round, Set of 6 — Save with this set, which includes a wide range of different sizes: 2, 4, 6, 8, 12, and 16.